Rasa Smite and Raitis Smits are artists and researchers working in intersection of art, science and emerging technologies since the mid-90s. They are key founders of RIXC Center for New Media Culture in Riga, curators of RIXC Gallery, organisers of RIXC Art and Science festival, and chief editors of Acoustic Space, peer-reviewed journal & book series. 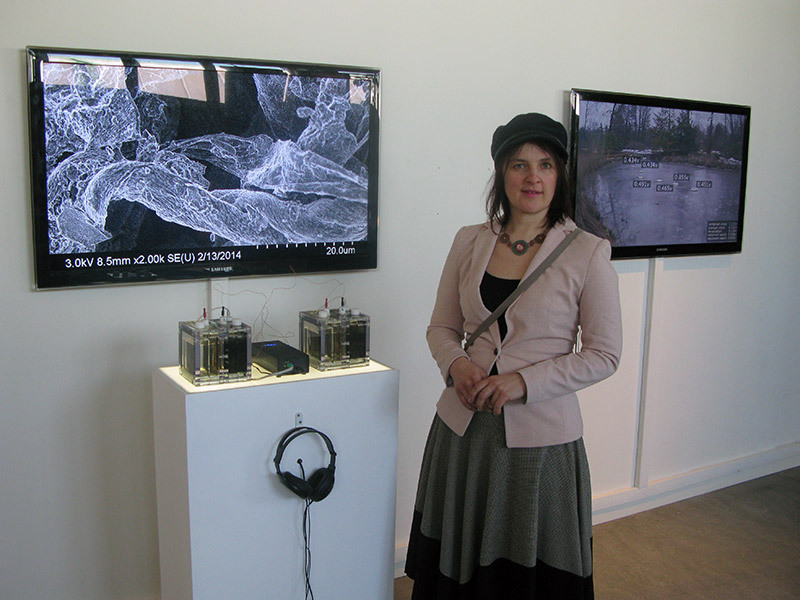 Rasa Smite holds PhD; she is Professor in New Media Art programme in Liepaja University and Senior Researcher at Art Research Lab (MPLab.lv). Raitis Smits also holds doctoral degree (2015); he is Associate Professor in the Art Academy of Latvia (2015). In 2017 Raitis Smits was Fulbright researcher in Graduate Center CUNY in New York (hosted by Lev Manovich). Since 2017 Rasa also works as artist-researcher in Ecodata project by University of Applied Sciences and Arts (Switzerland). Their artworks are shown in Ars Electronica Center, HeK (Switzerland), Van Abbe Museum (The Netherlands), KUMU museum in Tallinn (Estonia), Stockholm Science and Technology Museum (Sweden), RAM Gallery (Oslo), kim? Contemporary Art Center, Arsenals National Arts Museum (Latvia), and many other places. They have received Prix Ars Electronica (1998), National Award of Excellence in Culture (2016). Artist working in intersection of art, science and technology. Director of Art and Science center RIXC in Riga. Professor in New Media Art program in Liepaja University. Rasa Smite is an artist, network researcher and cultural innovator, working with science and emerging technologies since 90s. She is founding director of RIXC Center for New Media Culture in Riga, curator of its annual festivals, and a chief-editor of Acoustic Space – peer-reviewed publication series. She holds a PhD in sociology of culture and media (from Riga Stradins University, 2011), and MA in visual arts (from Arts Academy of Latvia, 2000). Currently she works as associate professor in New Media Art programme at Liepaja University. She is author of the books – “Creative Networks. In the Rear-View Mirror of Eastern European History”, published by Amsterdam Institute for Network Culture (2012), and “Talk to Me. Exploring Human-Plant Communication” (Published by RIXC, 2014). She is also author of numerous articles and co-editor of the Acoustic Space series issues. In her artistic practice, since the mid-90s Rasa Smite works together with Raitis Smits, creating networked, visionary, and innovative artworks. Their pioneering internet art project – Xchange Net.Radio Network was awarded with PRIX Ars Electronica (1998). More recent artworks include: Talk to Me – human plant communication project, and Biotricity – artwork series exploring a poetics of green energy, which have been exhibited in KUMU museum in Tallinn (2011), Ars Electronica Center in Linz (2013-2014), Arsenals National Arts Museum in Riga (2014), National Science and Technology Museum in Stockholm (2015), and elsewhere. Rasa Smite also has co-curated large scale exhibitions WAVES (Riga, 2006 / Dortmund 2008, together with Armin Medosch, Inke Arns) and FIELDS (Riga, 2014, together with Raitis Smits, Armin Medosch), as well as more recent exhibitions: Transformative Ecologies (Mons and Riga, 2015) and Data Drift (kim? Riga, 2015, together with Raitis Smits, Lev Manovich). Rasa Smite also has been active in building Baltic-Nordic and European collaboration platforms: she has co-founded Renewable Network (2009) and Renewable Futures – traveling art and science conference series (2015). She is lecturing extensively on creative networks and sustainability, ecology and contemporary media art, contemporaneity and networked/post-media art, and other topics. Founder of Art and Science center RIXC in Riga. RIXC festival curator. Associate professorat at Visual Communication department in Latvian Academy of Art. In 2017 Fulbright researcher at the Graduate Center CUNY, New York. Intersection of art and science, new media art history and theory, preservation and representation of new media art. Raitis Smits is Riga based artist and curator. He is co-founder and artistic director of RIXC Center for New Media Culture, curator of its annual festivals and exhibitions, and an editor of Acoustic Space – peer-reviewed publication series. He also works as assistant professor at the Latvian Academy of Arts, Visual Communication Department. He has received PhD degree from the Latvian Academy of Arts, for defending his thesis with the title “New Media Art. Preserving and Representation Problematics” (March, 2015). As a part of his PhD, he has curated two exhibitions – Net.Art.LV (kim?, 2010) and Save As (kim?, 2013), which was related to the 5th Media Art Histories: ReNew conference in Riga, 2013. In his artistic practice, since mid 1990s he is working together with artist Rasa Smite in intersection of art, science and emerging media. Their art works are long-lasting, process-based, experimental, often collaborations with other artists, networked and visionary. Through artworks, projects and events they together with RIXC have been introducing novelty themes such as 'internet radio' (1997 / 1998 - their pioneering internet radio network project Xchange was awarded with PRIX Ars Electronica in), 'acoustic space lab' (since 2001 - collaboration with radio astronomers at Irbene Radiotelescope), 'locative media' (2003 - coined this term together with Marc Tuters), 'waves' (2006 and 2008 - co-curated large-scale exhibitions in Riga and Dortmund together with Armin Medosch), spectral ecology (2007). Since 2009 they are engaged in building Renewable Network - North-European cooperation platform for art and science, and focusing on themes such as 'renewable energy' (2009), 'transbiotics' (2010), 'techno-ecologies' (2011), 'art of resilience' (2012). 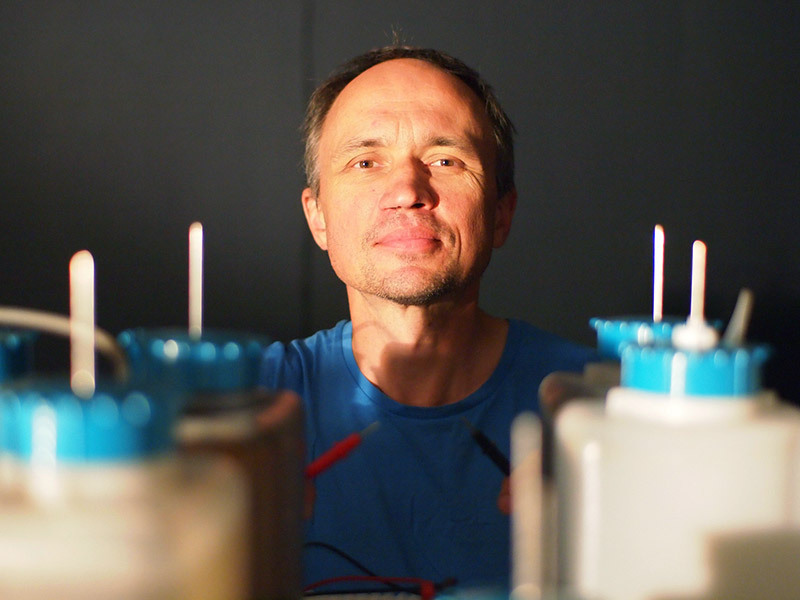 His extensive sound and networked art installation "Biotricity" (together with Rasa Smite and Voldemars Johansons) has been included in "Project Genesis _ Synthetic Biology" exhibition in Ars Electronica Center (2013-2014). His more recent artworks (together with Rasa Smite): Talk to Me – human plant communication project, and Biotricity – artwork series exploring a poetics of green energy – have been exhibited in KUMU museum in Tallinn (2011), Ars Electronica Center in Linz (2013-2014), Arsenals National Arts Museum in Riga (2014), National Science and Technology Museum in Stockholm (2015), and many other places.